It’s no surprise really, as businesses continue to use video to lead their marketing efforts – as a direct result of it being the dominant way audiences want to consume content, and also their medium of choice when it comes to producing and putting their own content out too. The demand for and growth in video, is hugely exciting. However, it does provide brands with challenges. Challenges that producers and platforms are looking to help brands overcome, and in trying to do so are changing the video landscape. First then, we’ll highlight the major challenges. Then we’ll touch on the ways we’re noticing the video landscape changing – by identifying new platforms and service offerings in the video world. As we’ve already made reference to – the sheer volume of videos brands now need to create is high. A fragmented marketing landscape has played a big part in this, with their now being so many channels – it can even be said that there are channels within channels (e.g ‘Stories’ and ‘IGTV’ within Instagram). Then not to forgot, the preference to use videos for company training and internal comms. Simply every part of the business will be requesting the use of video as a comms tool to ultimately help them to achieve their business objectives. Meeting the huge demand for video will of course put great strain on a brands marketing budget – especially so when videos are being created by external agencies. The creation of each video must then be based on clear objectives comms objectives that ladder up to business objectives. So that you are getting a ‘bang for your video buck’ – something that we talked about in a previous post, here. There will always be times when an urgent video is required. Whether it is as a result of poor planning, or as a reactive piece of communication; with the latter being especially true when it comes to social media. However, reactive, and often real-time videos on social media come with a different sort of creative license – one that allows them to be rougher, given their ‘in the moment’ nature. This may reduce costs when it comes to production and the post-edit. But planning, creative direction and execution is all required, which still needs valuable time and resource. To make videos authentic and relevant to different global audiences, a brand will at times have to shoot and capture content in international locations. Logistically and financially there are obvious barriers that inhibit the ability of brands when it comes to global video production. But to increase reach – especially on social platforms – brands need to look at how they can increase their global video production capabilities, to make their content feel authentic and relevant. This is undoubtedly a shift that’s causing huge change within the creative industry. And one that we won’t be able to do justice here – it’s something that needs more than a short paragraph dedicated to it. However, in short; top talent is opting to go out alone and work on a project-to-project basis. That way they are not getting tied down to a single agency and only working on the clients on the agencies books. And obviously it’s more lucrative and flexible. Freelancers can be very attractive to brands simply from a cost perspective – cheaper. However, it can be very hard for brands to find the specialist freelancers they require. It can involve a lot of painstaking online searching, or being reliant on having a strong network and letting word-of-mouth do its thing. 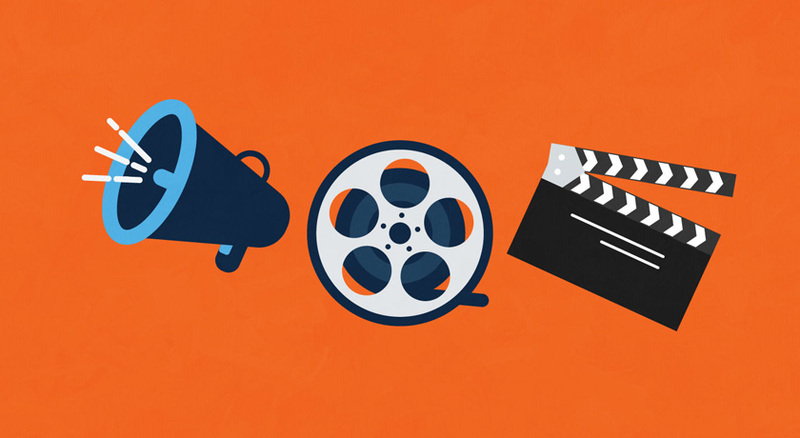 These are five pretty big challenges facing brands when it comes to the growth in video. It’s no surprise really then, that there are now solutions popping up to help brands deal with these challenges. Below are just a few that we thought worth bringing to your attention. So expect some follow up posts to this one with some more observations on the changing world of video. Earlier this month Vimeo announced that they are going to be putting emphasis on the stock video marketplace over original programming. This is very much in recognition of the first four challenges we identified above that brands are facing. It’s a very smart move from Vimeo, and a great way to also help their creators gain further revenue. Plus, it acts as a platform to connect freelancers with brands. Well worth keeping an eye on this, and giving it a try. Something else we’re predicting in the stock video market, is for an offering similar to UnSplash (stock photography) to arise. There are of course websites that offer free stock videos, with ‘Pexels’ and ‘Stock Footage 4 Free’ arguably the best at the moment. But there is still much room for improvement, and it’s a space we think is set to explode. These are platforms that are looking to disrupt the way brands currently work with agencies to create videos. In simple terms, they have recognised the freelance future, and are focussing on leveraging this. Which they are doing by being the platform that connects brands with top freelance talent, on a global scale, and in a cost effective, and reactive way – while at the same time managing the end-to-end workflow. So yeah, basically providing an all-encompassing solution to help brands overcome the major challenges they face with video production. The world’s leading video creation platform, allowing brands to purchase, plan, shoot, edit and review professional videos across the globe – all online or from their mobile. The above are the words of 90 Seconds, one of these new breeds of video creation platforms. Trigger TV is another similar platform that echoes the ethos of 90 seconds. These are platforms that warrant further exploration by brands – especially so as brands look to bolster their in-house creative capabilities. These are the types of platforms that through the use of their end-to-end workflows can easily be managed by in-house teams, as it is giving brands direct access to the talent they need. Platforms like these also allow brands to be flexible and responsive to their changing video needs, acting as a scalable extension to their in-house team. These platforms do excite us somewhat. As in a way they sort of act as a hybrid between stock video and bespoke agency production – arguably then, giving you the best of both worlds. Clearly, the video production landscape is evolving, with plenty of opportunities for brands and creators alike. Meaning agencies will have to continue to adapt. As always we’ll be keeping a close eye on how things develop, so that we can help our clients and their in-house creative teams with their video production needs. If you’d like to discuss how we could help you and your organisation with video, then please do get in touch.